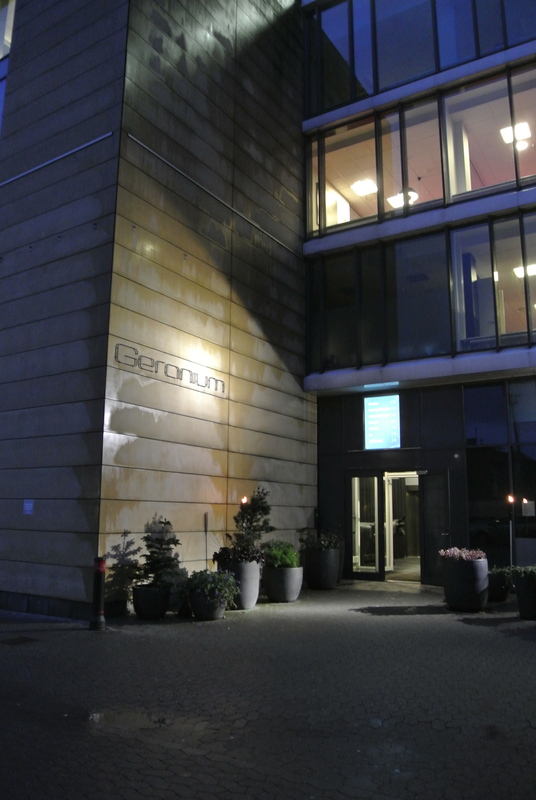 So I’m going to put it out there and claim…my meal at Geranium was the best dining experience and probably the best meal that I’ve EVER had! 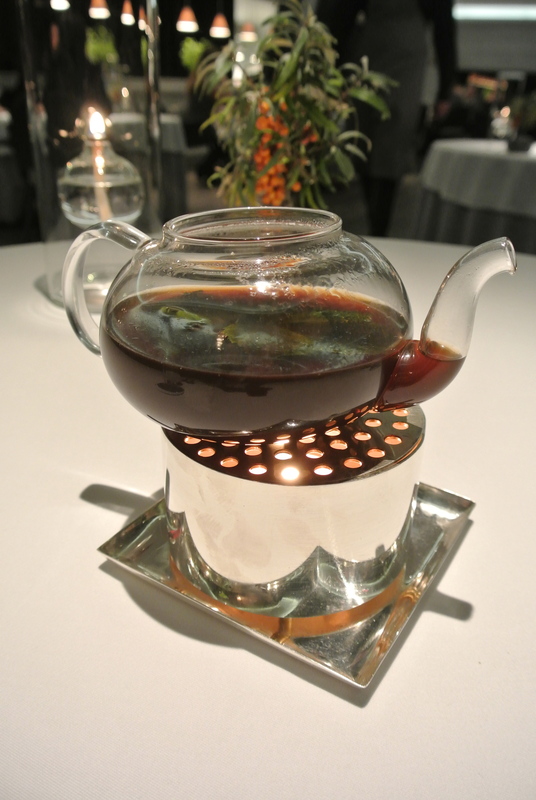 Everything from the flawless service to having the 8th course right in the kitchen! It was incredible and a food lovers’ dream. 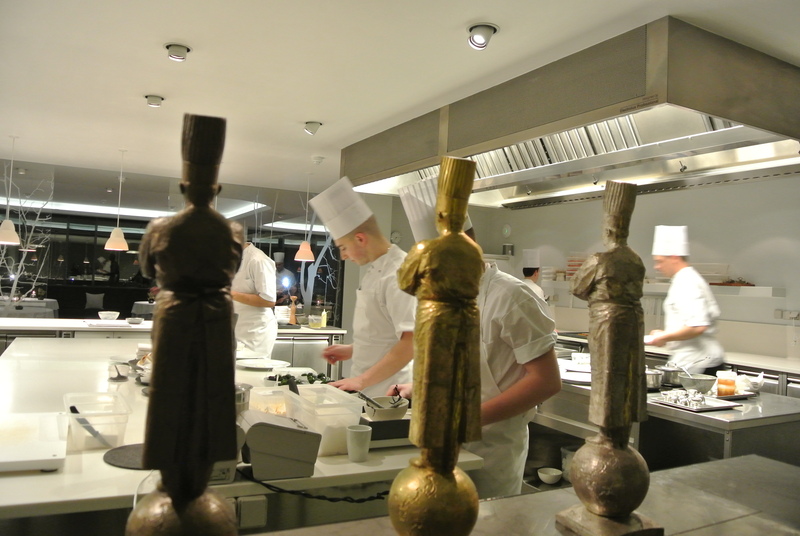 Being greeted by each chef in the kitchen including Chef Rasmus Kofoed, winner of the Bocuse d’Or in 2011 (the Olympics of food competition) and sitting at the head of the room overlooking the execution of dishes was unbelieveable. And the actual food? 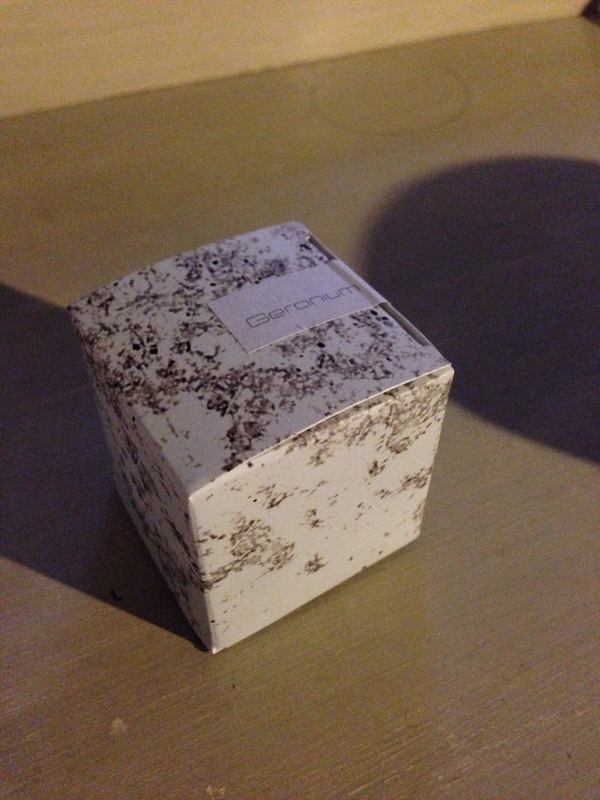 Well, I had two favourites of the 21 courses served and don’t get me wrong, they were all innovative, unique and absolutely beautiful. 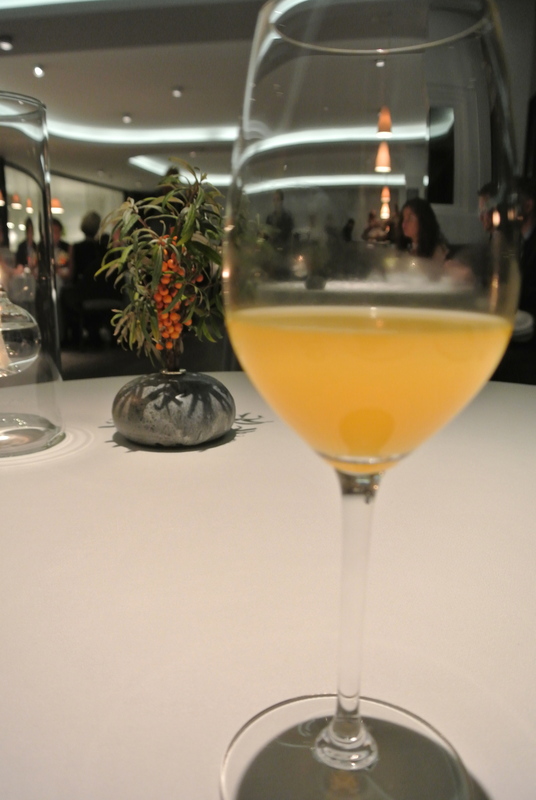 But the 3rd course of pear and lemon verbena was so refreshing, light and a punch of flavour – the best dish of the night. Followed closely by the 18th course which was easily the best dessert course with the theme of honeycomb and the best ice cream I’ve tasted in my life. I know what you’re thinking, this is a lot of “BESTs” but this truly was an experience I will never forget! 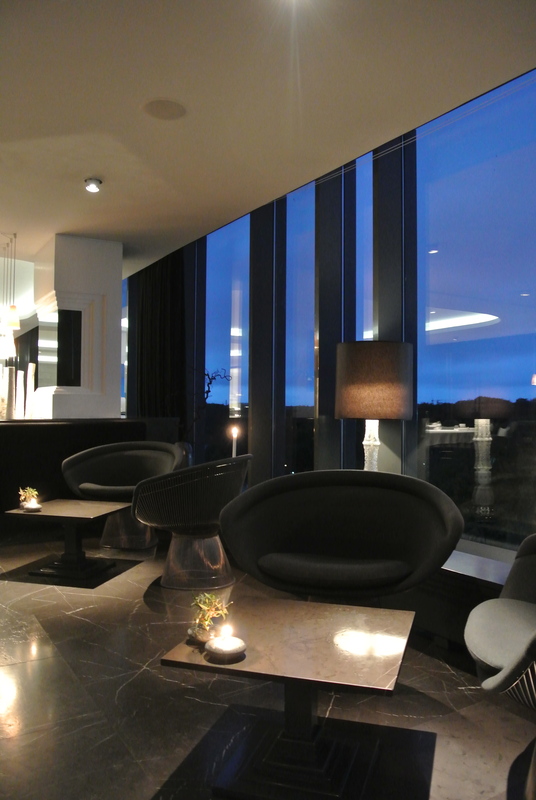 The view from the lounge of Geranium. 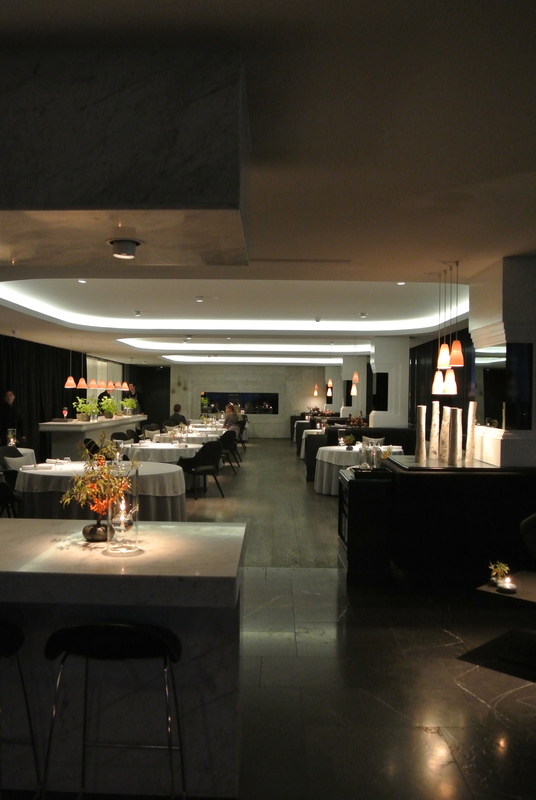 The gorgeous dining room at Geranium. 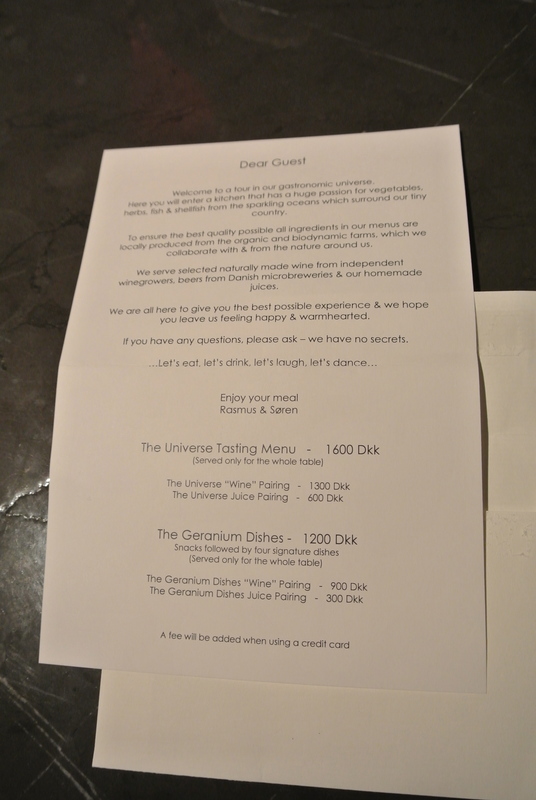 When you are shown your table, you’re given a letter from the chef. To start: house-made juice with cute towelettes to freshen your hands before you begin the meal. 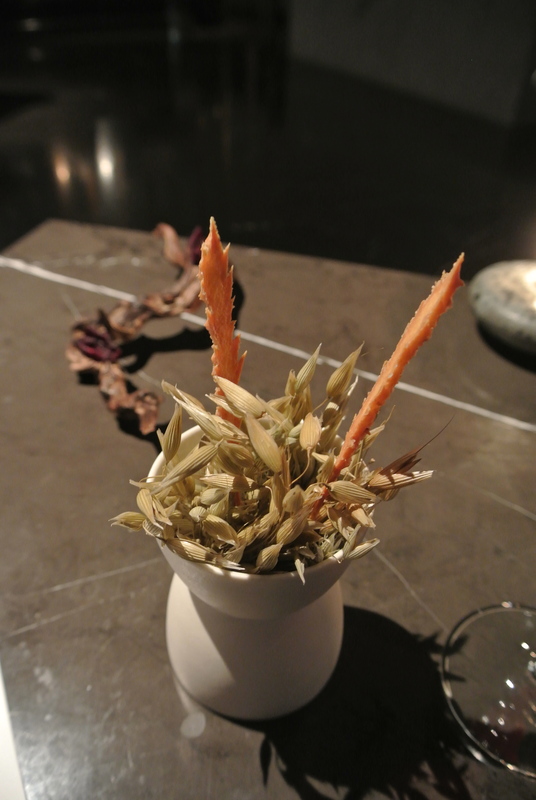 1st course of Crispy grains from Kornly – a light and savoury cracker. 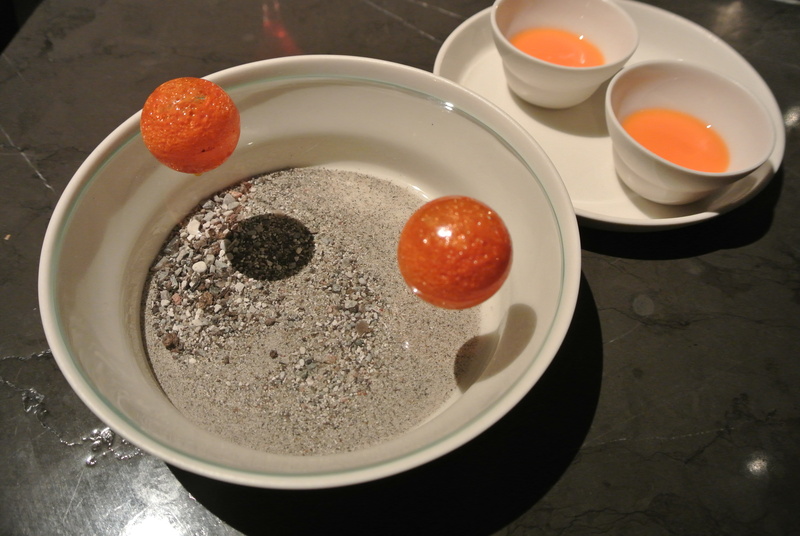 The 2nd course – Fermented juice from carrot and sea buckthorn with a carrot “candy”. 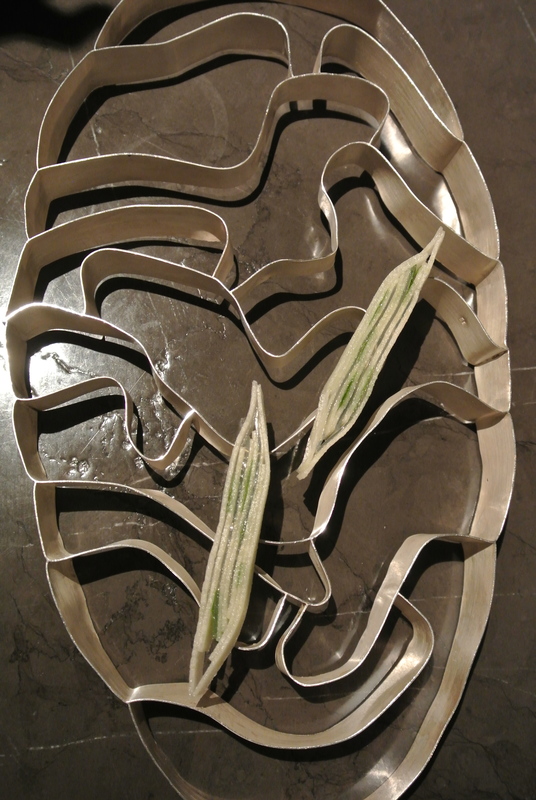 3rd Course – Pear, pear vinegar and lemon verbena. 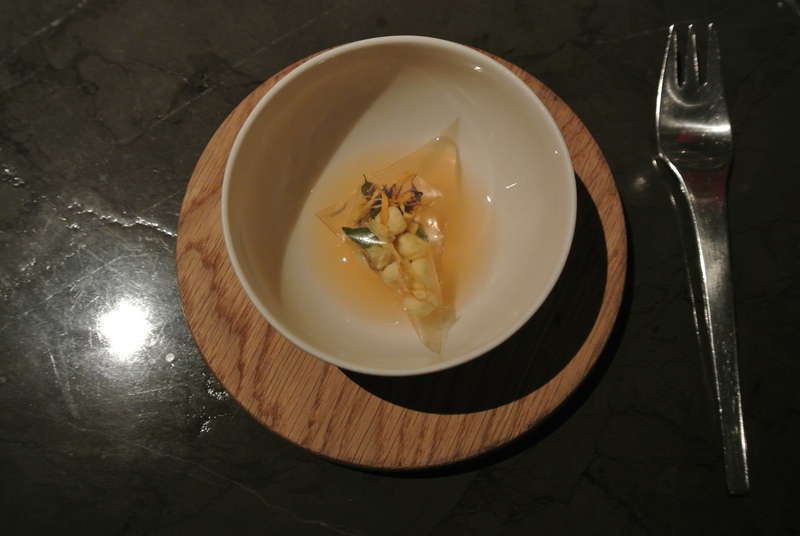 The 4th course – Jerusalem artichoke, rye vinegar and walnut. 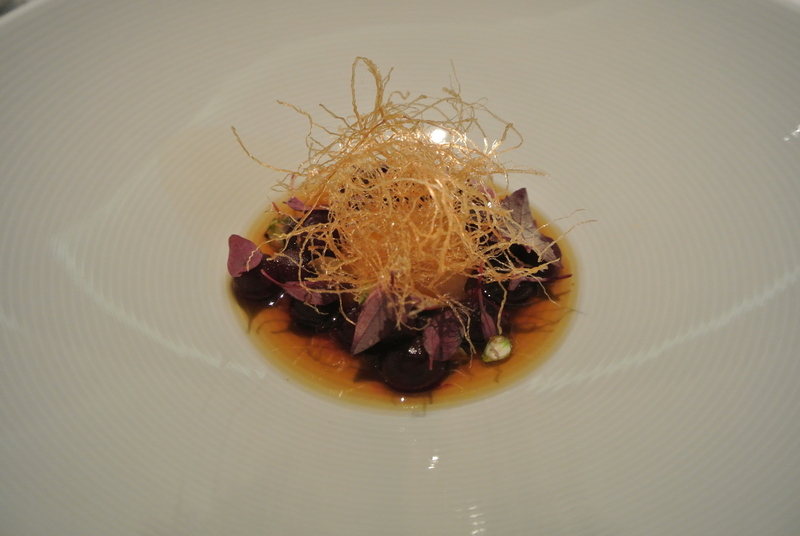 The 5th course – Dried flowers and apples. 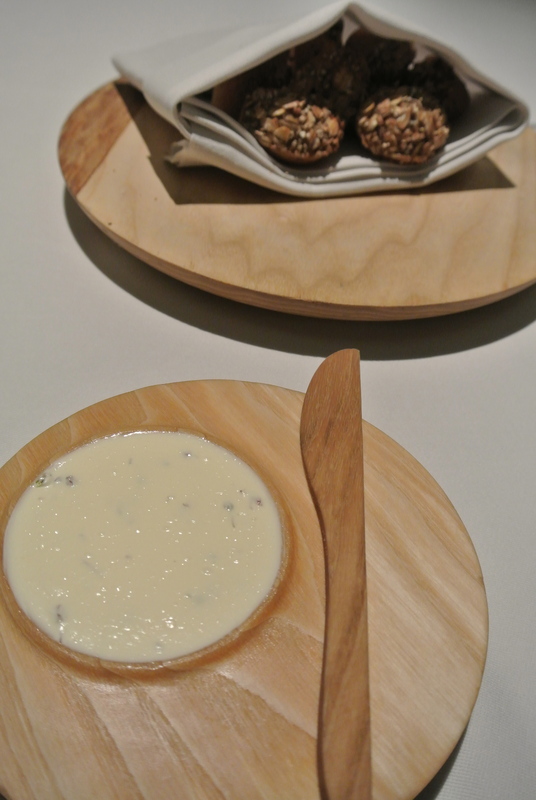 The 6th course is charred potato and lightly smoked sheep milk butter. 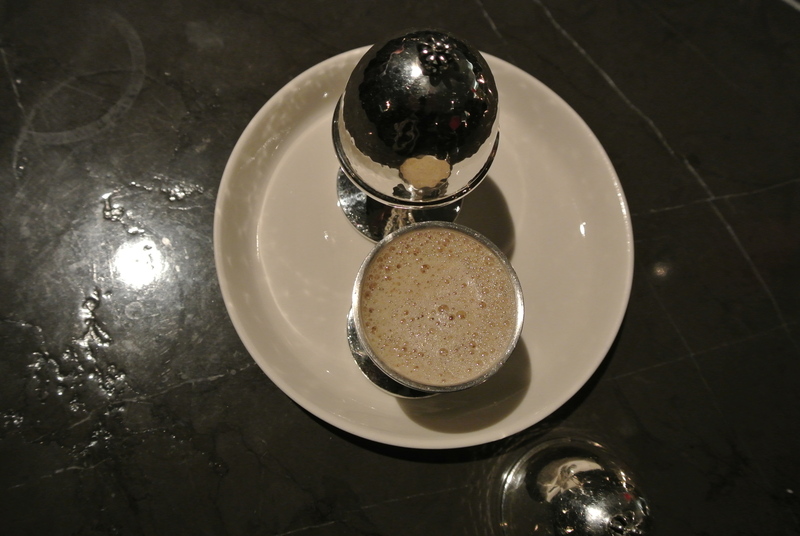 7th course – Cep mushroom. 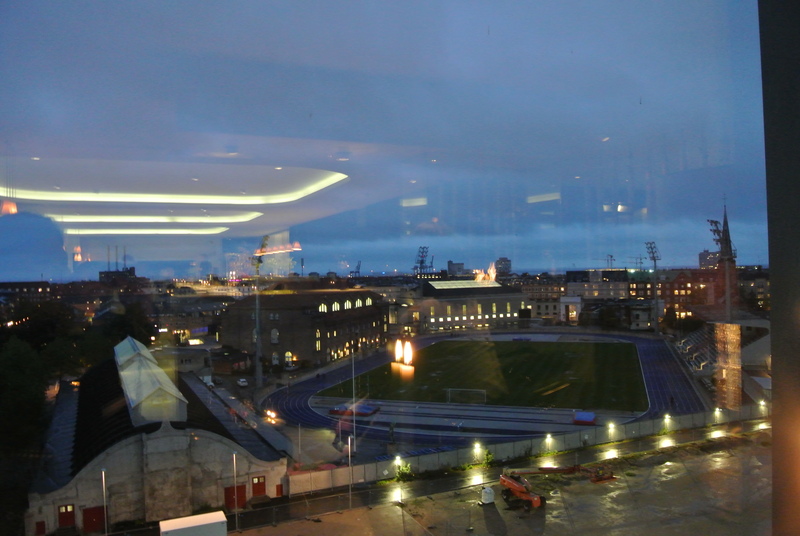 The unbelievable view from our table in the kitchen while we enjoyed our 8th course. 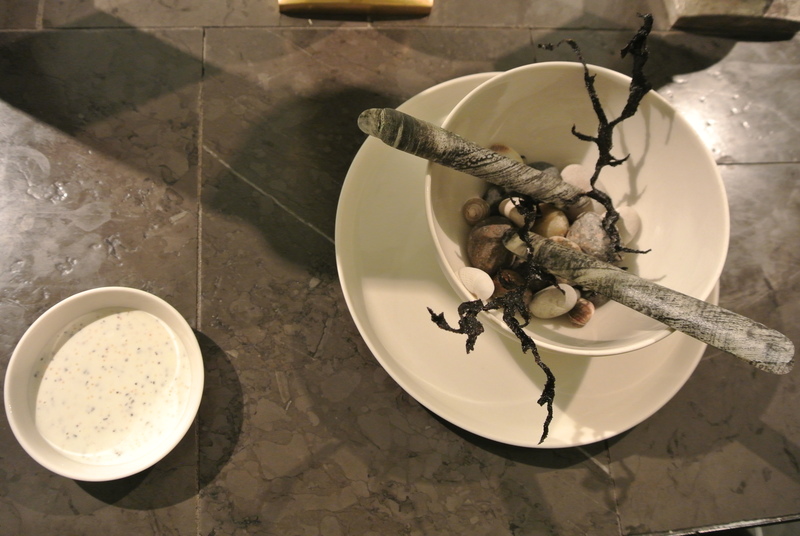 The 8th course – “Impressions of the ocean” with seaweed and razor clam. 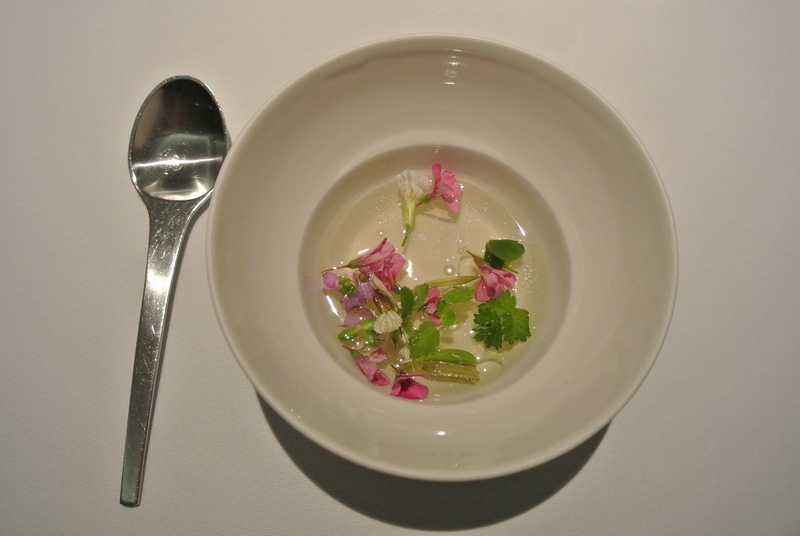 9th course – Tomato water, herbs and jellied ham. The 10th course -“Dillstone” (jellied dill), scallop, horseradish and pickled cucumber granita. 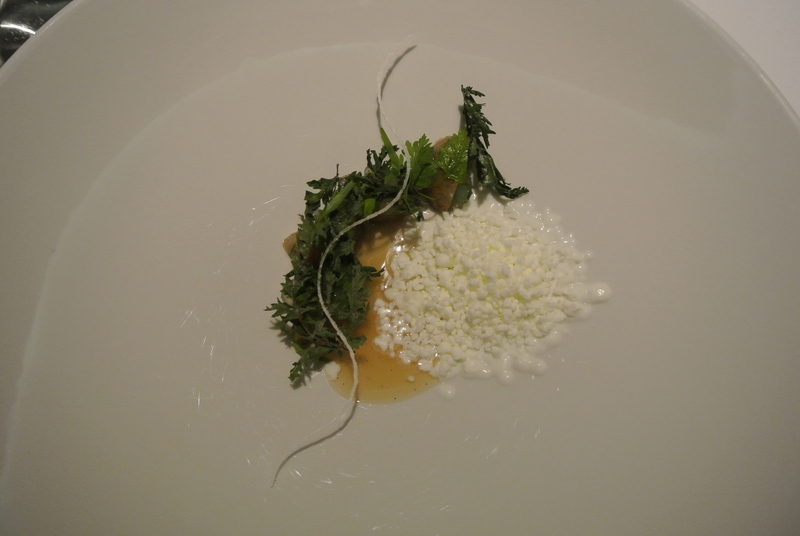 11th course – salted hake, buttermilk, kaviar and herb stems. 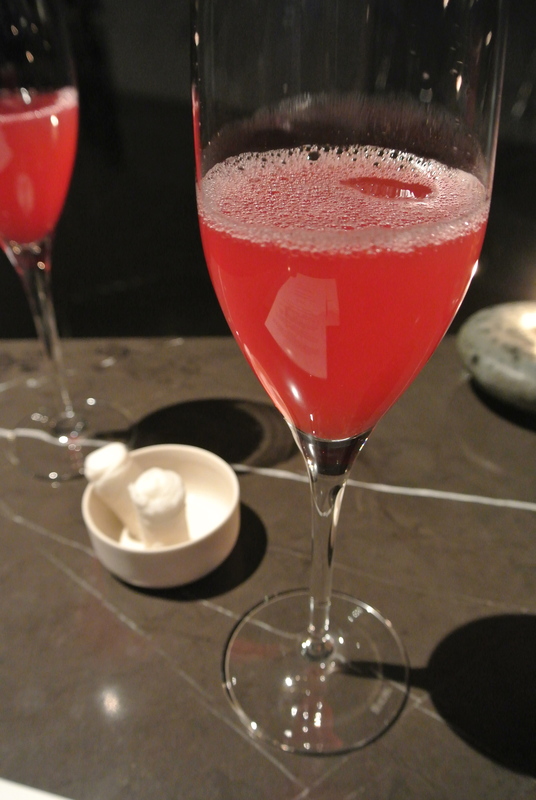 Another homemade juice from Geranium. 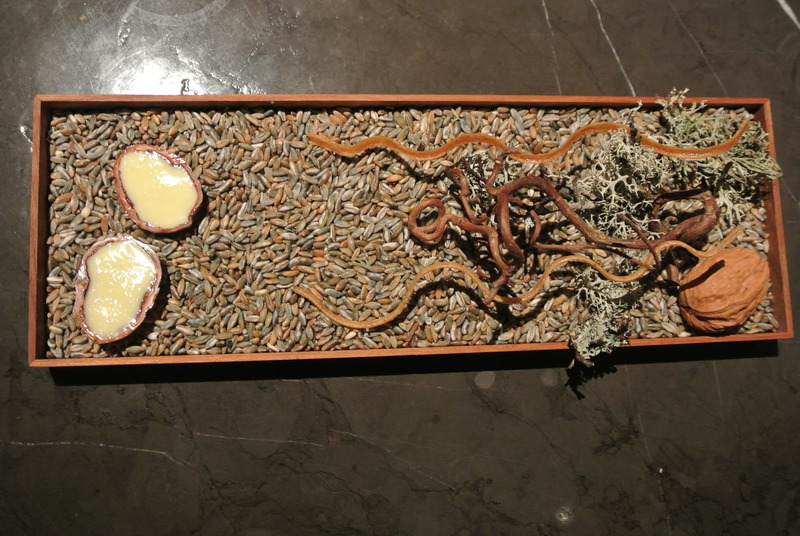 12th course – Bread with emmer and spelt. 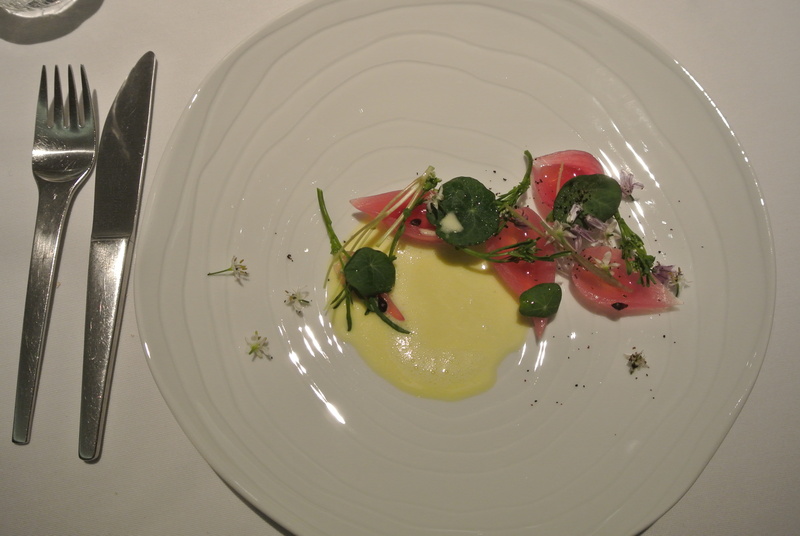 The 13th course – Biodynamic onions with chamomile and melted hay cheese. 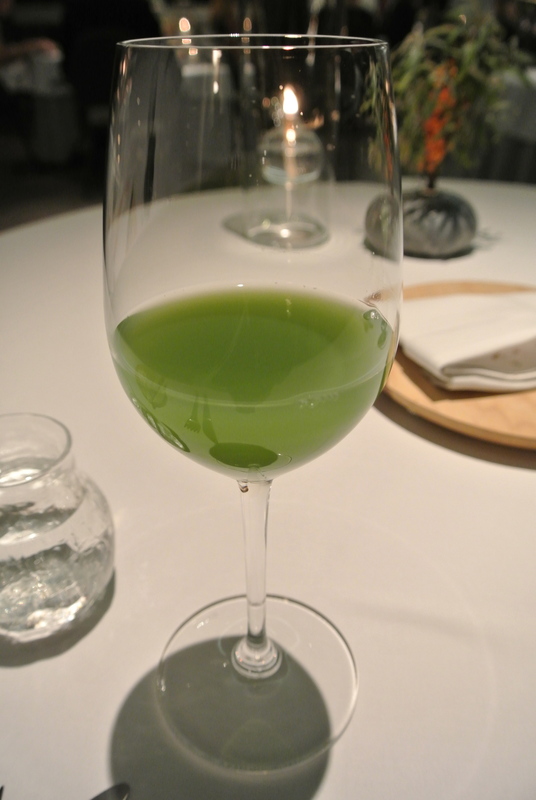 A bit of savoury juice made with cucumber and a bit of apple. 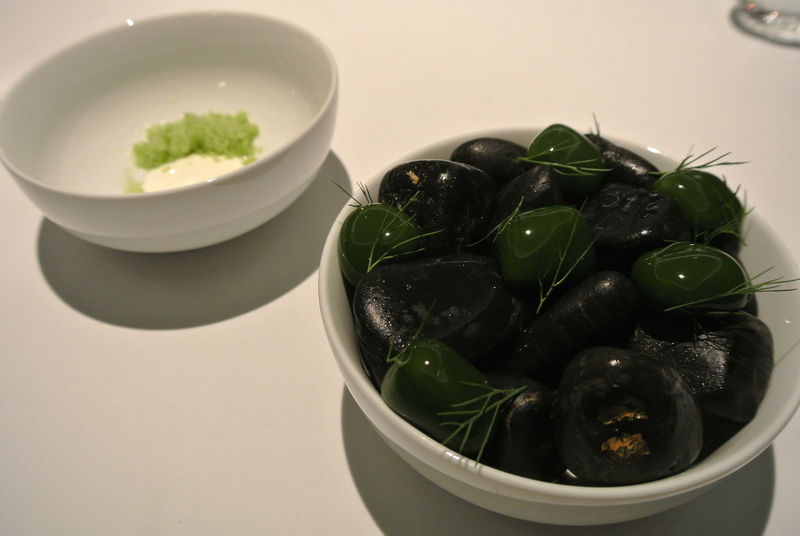 14th course – Oysters from Limfjorden, fermented cabbage, seaweed and thyme. 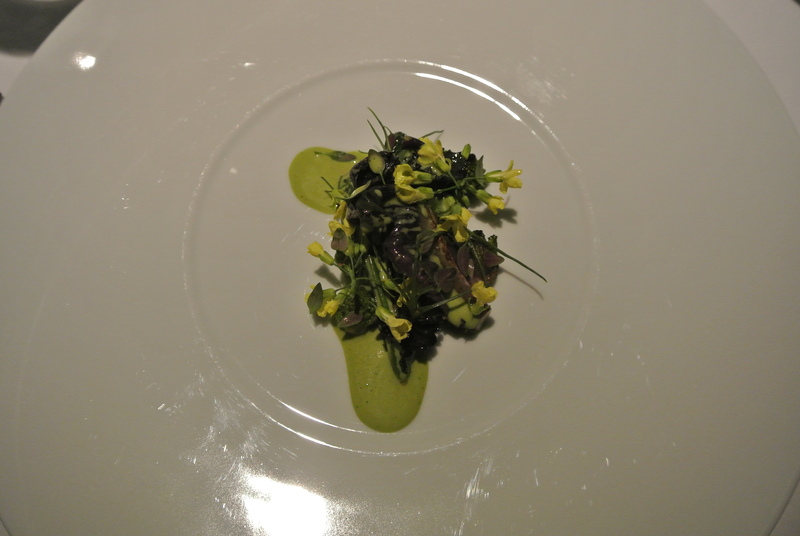 Part 1 of the 15th course – Black currant leaves bouillon. 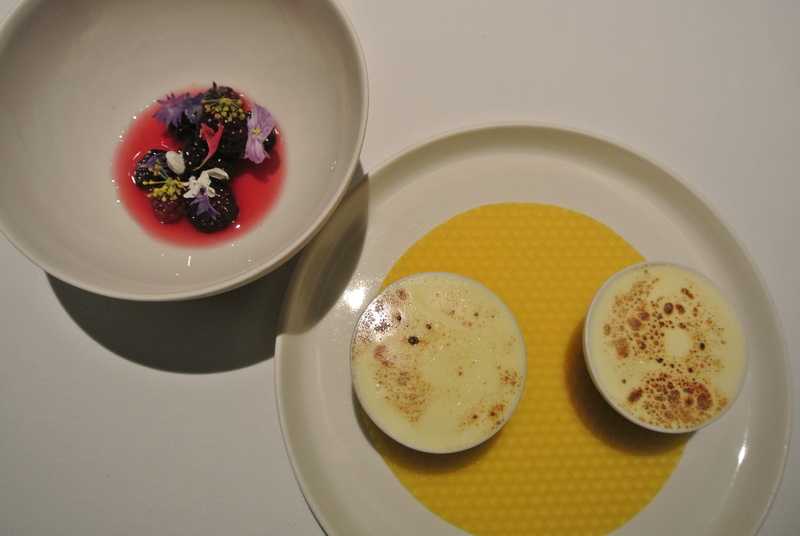 15th course – Egg yolk in smoked lard with the black currant leaves bouillon. 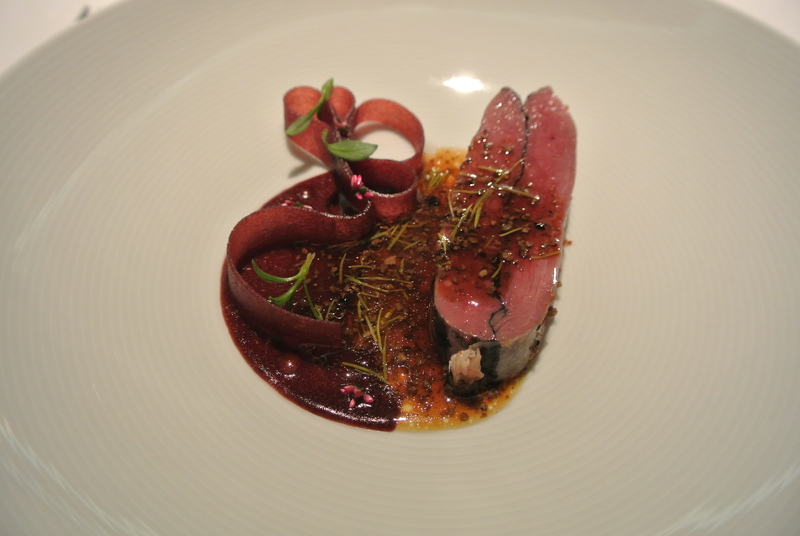 16th course – “Wild duck in calm surrounding”, juniper, pickled pine and elder. 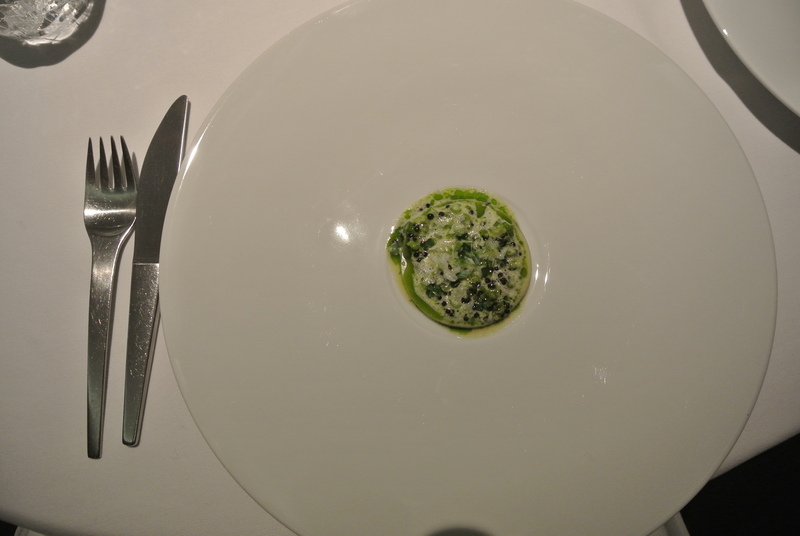 The 17th course is “Gron Grod”, sheep yoghurt (“pearls”) and sweet cicely. Dessert: The 18th course was my favourite dessert course with the theme of honeycomb – Blackberries, hip rose tea and bees wax ice cream. 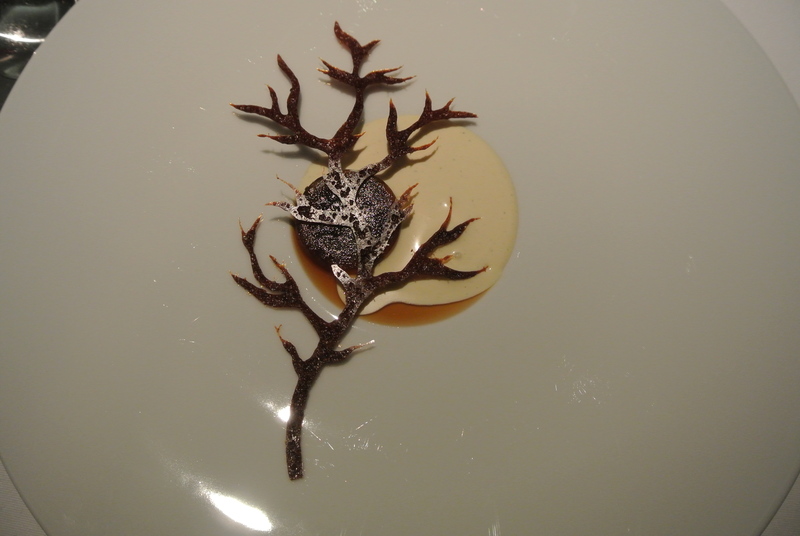 Dessert: 19th course – “The taste of naked tree”, dark beer, prunes (tuile) and cream with beech wood. 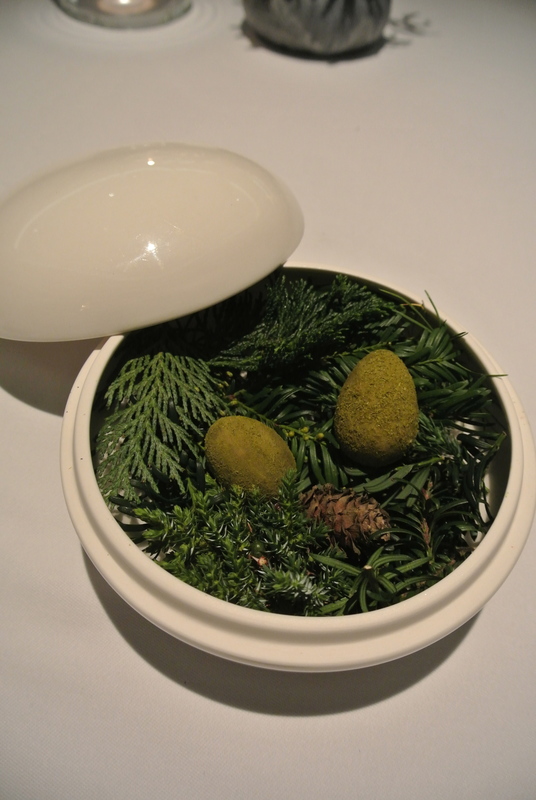 Dessert: 20th course – Green egg with pine. 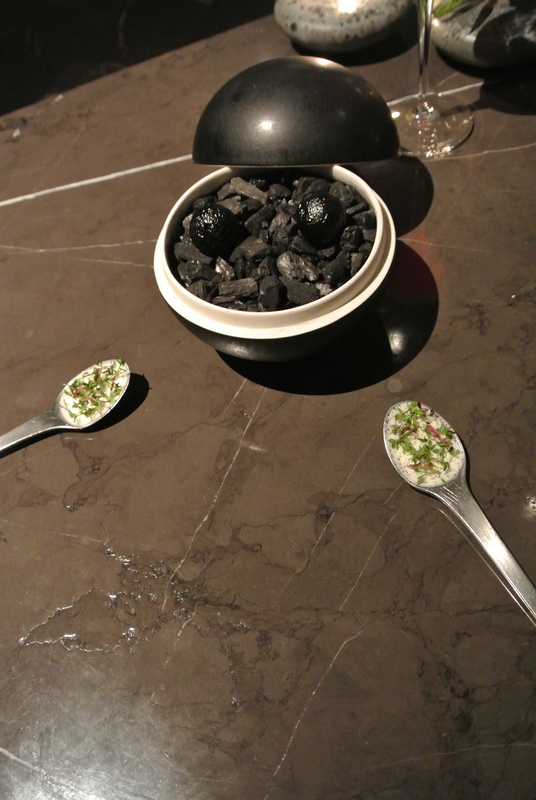 Final course to take home – Black currant and liquorice house-made hard candy.